This is almost definitely a technical blog. Maybe. A couple of days ago my Desire Z silently updated the Market application to v2.2.11. No idea what the update actually brings (I guess stability fixes) but it had the side effect of removing all application links in the "My Apps" section. That means that no application was listed as Installed, and the only apps in the screen were the purchased ones. After trying to use the Market Doctor feature of Titanium Backup Pro (yes, I've paid for it) with little to no effect, I decided to delete the Market app's data. And that was it. All applications were listed properly. "Menu->Settings->Applications->Manage Applications->All->Market" and press the "Force Stop" button to stop the Market App from running, and the press the "Clear Data" button. When you start the Market again, everything should be listed normally. I can't guarantee that this will work for everyone or that it won't break anything else! My name is Alexandros Schillings and was born in Athens, Greece in 1981. In 1999 I went to do my Vocational Training as a Computer Networks Technician in Alimos, Greece. After graduating, I came to study in the University of Essex at the Department of Electronic Systems Engineering in 2001 from which I got my BEng (in Computers and Networks, with first class honours). That Department is now known as the School of Computer Science and Electronic Engineering. I have now passed my PhD viva under the supervision of Dr. Kun Yang. My thesis (titled "Collaborative and Information-Aware Routing in Wireless Sensor Networks Using Game Theory") is focused on applying Game Theory in WSNs in order to facilitate energy and data efficient routing using network abstraction techniques. It also proposed a lightweight and WSN-centric query language called Node NQCL (Node Query and Control Language). 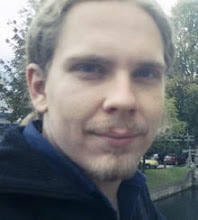 I am currently working as a Lead Android developer at GenieConnect.